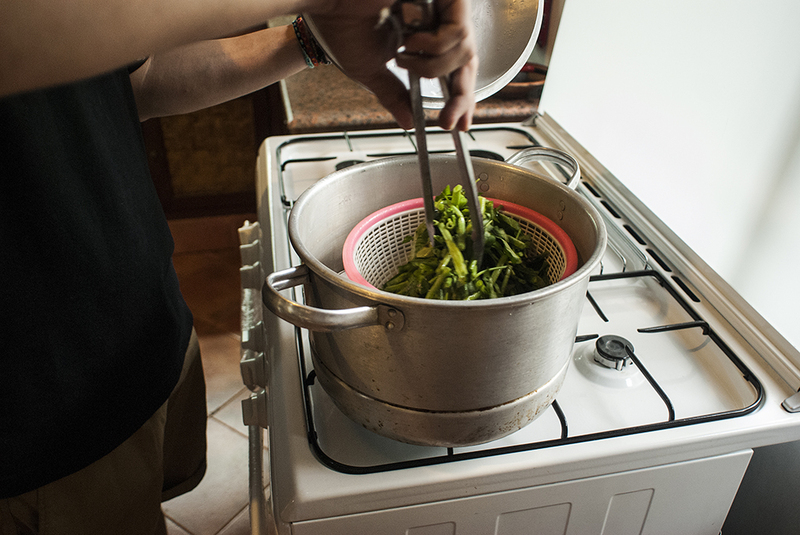 Ffonz started cooking approximately four years ago, when he was living in the Netherlands. He lived there for over a decade. 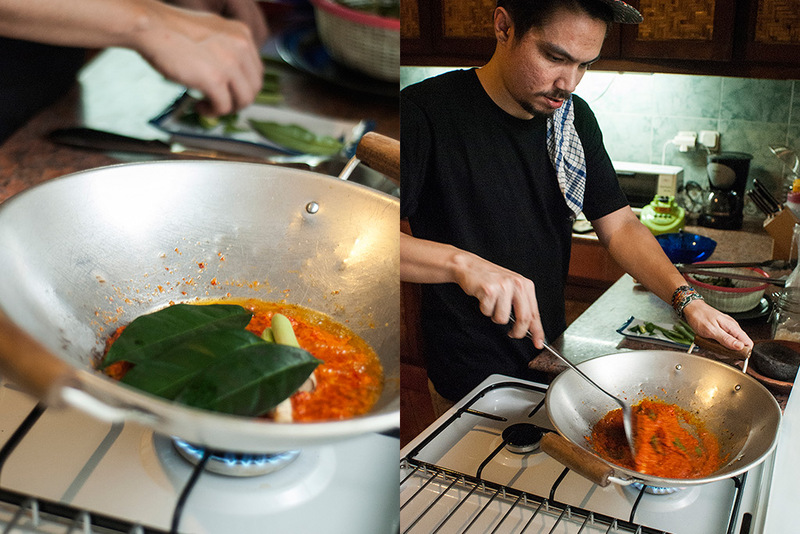 Feeling homesick and his desire of having good Indonesian cuisine in Amsterdam led him to brush up his cooking skills. 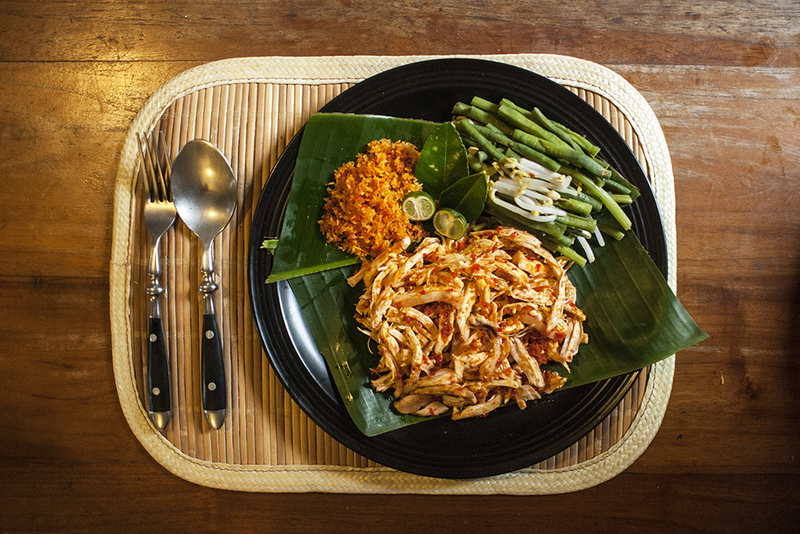 “My constant desire of having Indonesian food and the paltry availability of good Indonesian cuisine in Amsterdam-the only good ones were hilariously expensive for me at the time, forced me to learn again how to cook. I learned mostly from parental guidance, but naturally also from internet recipes.” Ffonz explains. Having a lot of friends come over to his flat in the centre of Amsterdam and cooking food for them, Ffonz c decide that it might be good for him to make a living out of it. An idea that was also supported by his friends. At that time, this decision became a reasonable point of view due to the raging economic depression hanging over Europe. This is the day where Ffonz’ catering business was born to the world. It all started on a “Queensday”, a day where Amsterdam is turned into a giant street party and flea market where people are able to sell goods without tax. 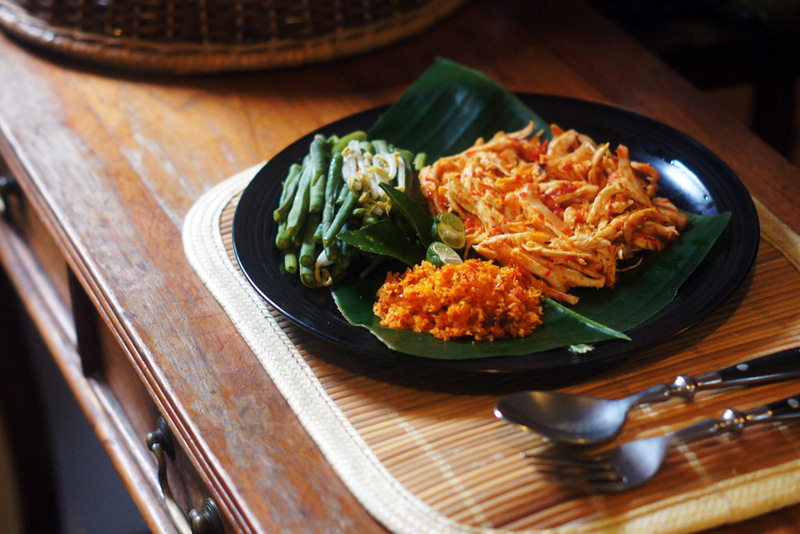 His first service was twenty boxes of ‘nasi uduk’ and he sold it in front of his flat. That was a very good day for him, all the boxes sold out within an hour, and this particular moment made him thinks that it is time to make a better service for this business. The next two years, Ffonz sold his home-cooked Indonesian lunch boxes to record stores, art galleries, ad agencies and many other institution in Amsterdam, his service uncluded delivery by bicycle. For this business, he offered only Indonesian soul food, specifically the thing that is not available at another common restaurants in Holland. Nasi uduk, nasi padang, tahu isi, ketoprak, nasi tim, mie ayam are some of Ffonz catering’s menus. Though the catering service started purely as a business, this very field also gave Ffonz access to music gigs and concerts around Amsterdam. He often traded lunch boxes for backstage passes with the club owners/managers who happened to be his client. “I also once fried tahu isi for 200 guests at an independent radio party where the prep work and actual cooking stretched from 9 am – 12 midnight. And then there was the afterparty, ha!” Ffonz tells. James Pants of Stones Throw Records was one of the most memorable person that enjoyed Ffonz’ catering service. He also have some unique business when he trade lunch boxes for some gem records at Amsterdam’s celebrated Rush Hour Records. As a music enthusiast, Ffonz had a certain playlist while he cooked. Jazz, rock, hip hop and traditional Bavarian oompah music were some of the genres that fit his cooking mood. Now, Ffonz is not cooking as much as he did back in Amsterdam, but he does miss his catering days, “I actually had a monthly event with one of Holland’s best known hip hop beat makers (I.N.T. 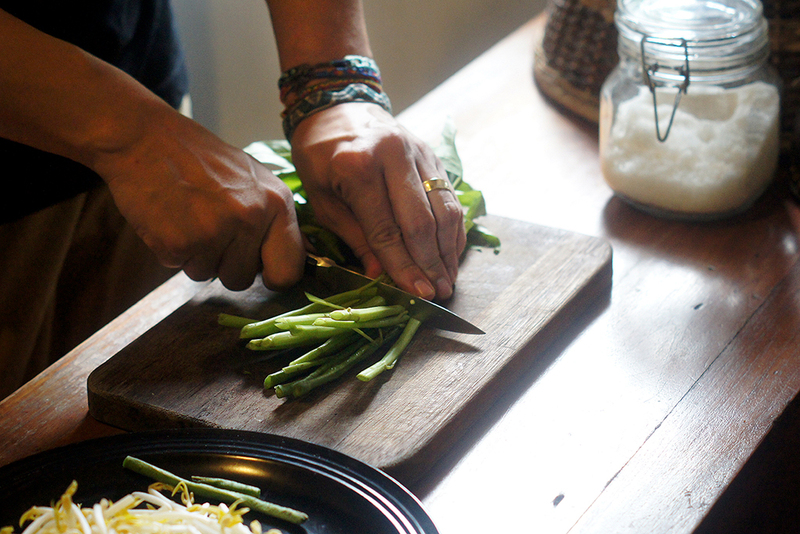 ), and we’d be bouncing to hip-hop or funk while slicing tofu and tempe pretty much the whole day long. Ah yes, those were the days.” Ffonz closes. 5 tablespoons of coconut shredding. 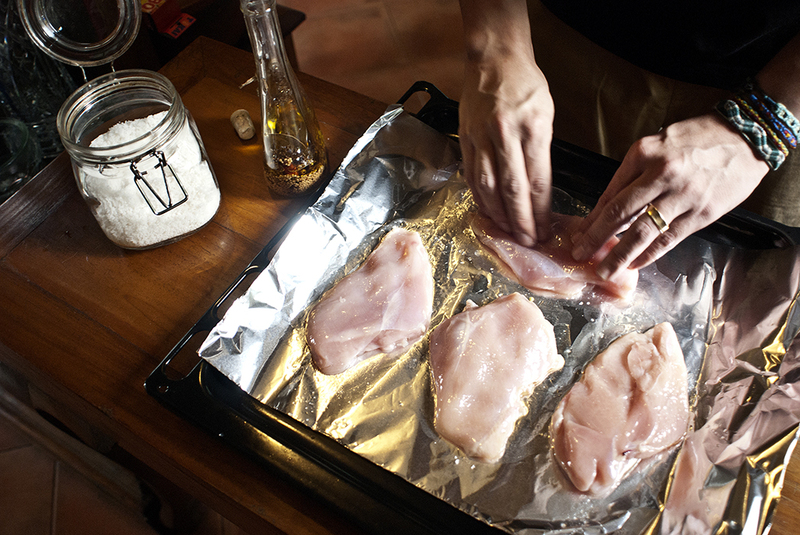 Season your chicken breasts with a little salt and olive oil. Cut the vegetables into edible chunks and steam for around 2 minutes at the most. You want your vegetables still to be crunchy. 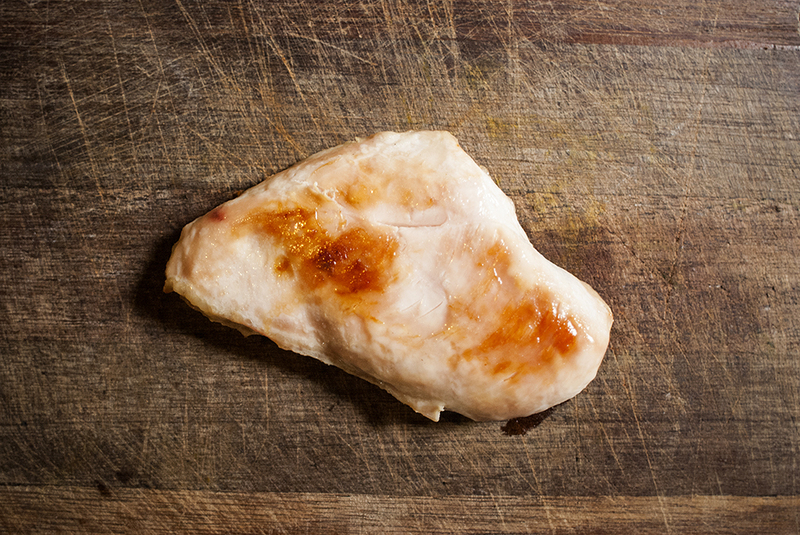 Put chicken breasts into oven at 180 degrees Celsius. This should take approximately 40 minutes. Turn the chickens over after 20 minutes. When it’s done roasting, remove from the oven and let cool and shred the meat into medium-thick stripes. 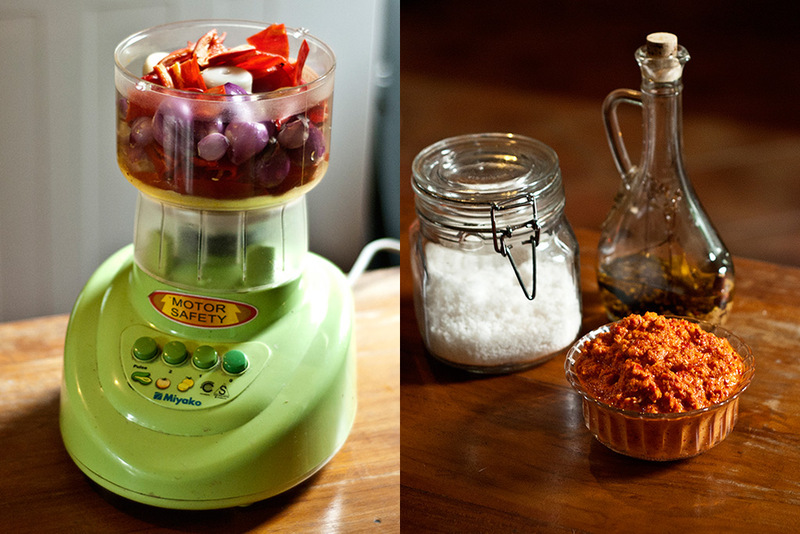 Prepare your spice paste in a mortal and pestle or in a food processor. Don’t forget to use a little cooking oil if you’re using a blender. 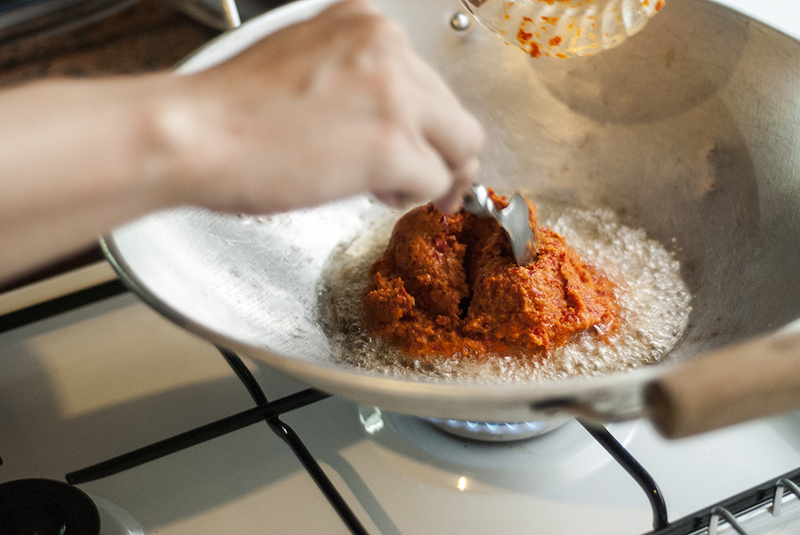 In a wok, gently fry your spice mixture while adding the aromatic herbs (except for the coconut). Add seasoning to taste. Don’t forget to use enough oil to stop the spice mixture from burning. 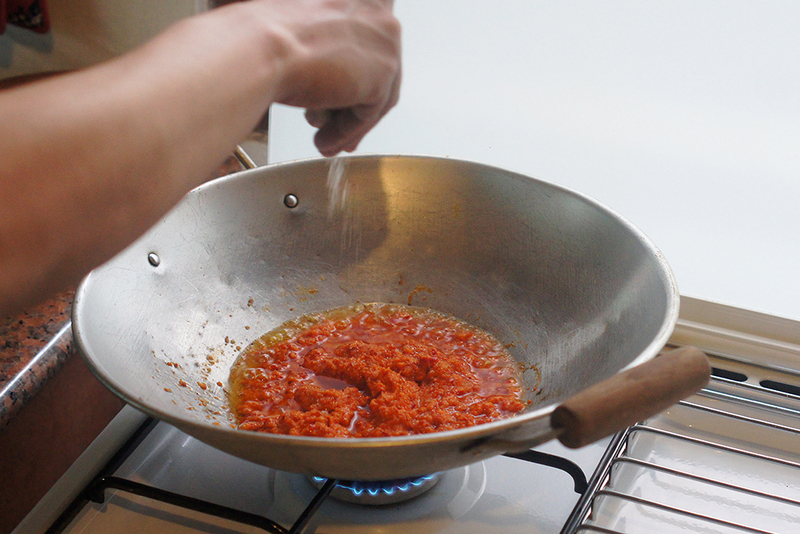 Once the spice paste has reduced significantly, divide the resulting paste into two. Take one half and coat the shredded chicken breasts evenly. 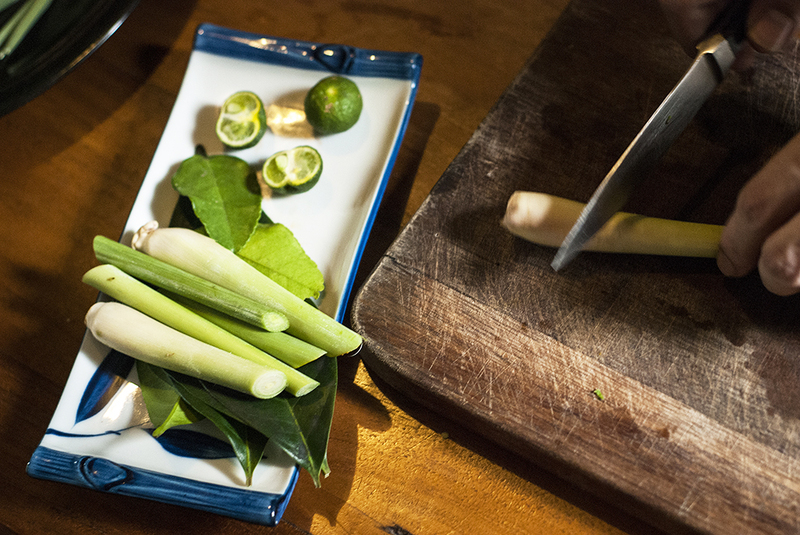 Add a little lime leaf juice for that extra kick. 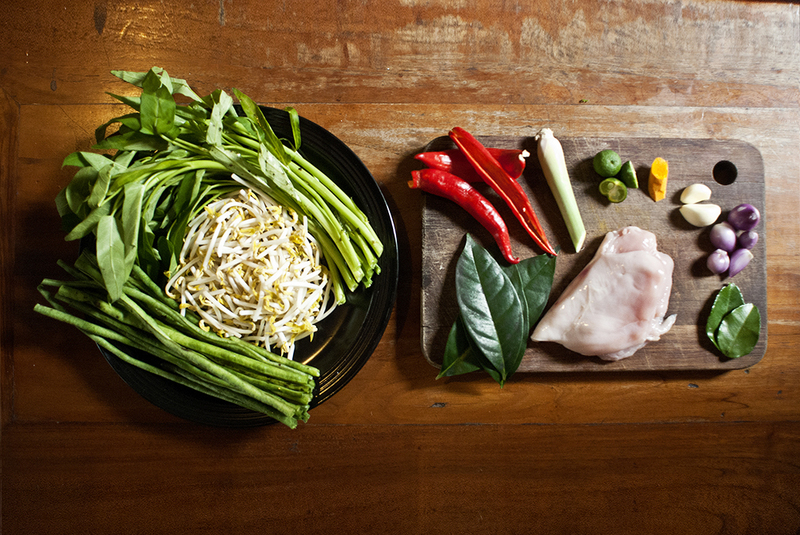 For the other half of the spice paste, keep inside the wok and add the coconut shredding. Once done, set aside and add to steamed vegetables. Serve both with fragrant jasmine rice.